In today's fast-paced business world, you need to be nimble and use your resources wisely. Can you afford to tether an admin to the reception desk? Or do you need to make sure every part of the office runs smoothly? Save Your ADMINutes with Greetly. 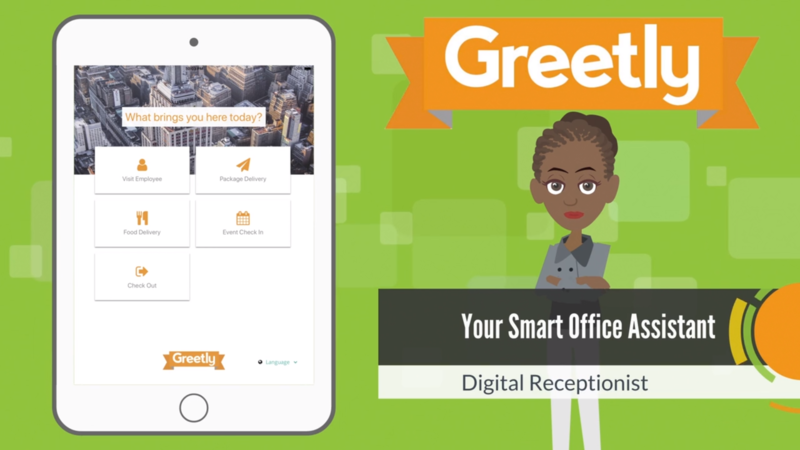 Greetly is the modern office visitor sign in app that welcomes your guests, receives deliveries, prints visitor badges, captures eSignatures and so much more. Greetly will instantly notify your team when the guest arrives by phone, email, text message (SMS) or Slack notifications. Full white-labeled, lots of customization, rich with features and tons of helpful integrations. And visitors love it! Save time, save money and Get More Done!